I was surprised you drew this, when I saw it I thought it was a vector of the scan it looked so original. Its really pretty so goes with the images I have seen of her and you drew this that is so talented. 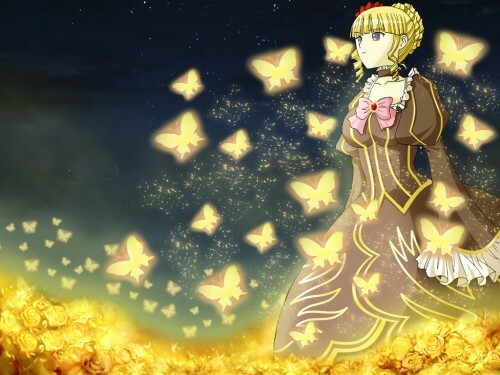 I love the butterflies and the roses really gives it that magical effect. If I had to say anything though I would say maybe tone down the glow effect on some of the butterflies though there a little to bright. Other than that I think it looks great.